Just days before the Los Angeles Auto Show, Ford has decided to give us a sneak peak at their latest offering: the GT350 Mustang. Taking the torch from the historic line of Shelby Mustangs, Ford says that the GT350 is their most powerful naturally aspirated production engine ever. 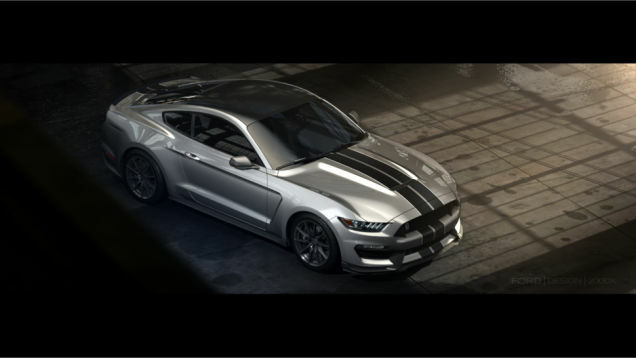 Cranking out this power, the GT350 features a flat-plane crankshaft 5.2-liter V8 engine that fires out more than 500 horsepower and a torque peak above 400 pound-feet. All of these specs just seem to re-iterate Ford’s goal to favor on-track performance over drag performance. Looking at the details, it appears that Ford is adding a bit of European flare to their iconic, All-American car. This is especially evident when looking at the newly instated flat-plane crankshaft V8, which is typically associated with European sports cars and racing cars. For anybody that’s been following Ford, this should be no surprise, though. Throughout 2014, Ford has been seriously preparing to engage with a more global market (a feat that has been problematic in the past). Knowing this, a transition to a more Euro-friendly engine should definitely be expected. As far as styling goes, Ford has made quite a few changes from their base pony car– which went on sale earlier this year. 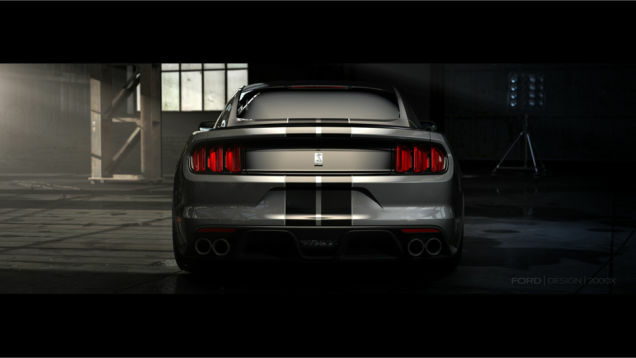 For the Shelby GT350, the bodywork is lower and tighter around the engine, which was implemented to reduce drag and increase downforce. Additionally, the ride also features a lower front splitter, a contoured belly pan, and a rear lip spoiler to help funnel airflow. 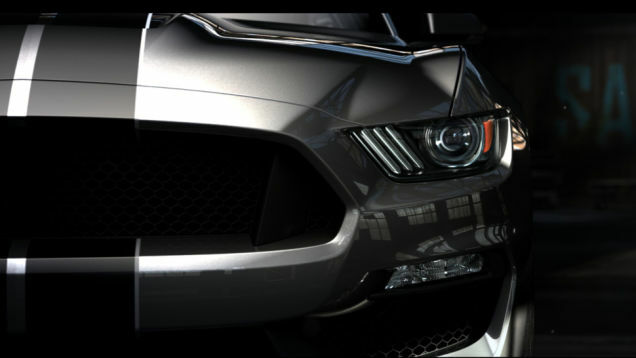 So, the real question is: how do you like the new specs and features on the GT350 Mustang? Did they go to European for your tastes? Or were the changes made just a natural step in the evolution to a better product? 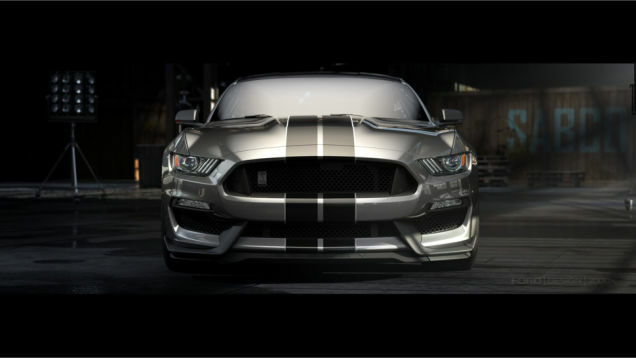 This entry was posted in Ford and tagged ford, ford mustang gt350 Shelby, GT350, LA Auto Show, mustang, shelby'. Bookmark the permalink.